Scanning Large Format, New Bedford, Ma. Massachusetts, Fine Art Scanning and printing in New England. Scanning With Care: We take care in what we do. Whether it is handling your originals, the images and colors we produce, or even assuring that the final work reflects the intentions and vision of the artist, we care about you- and about your work. Stunning museum-quality giclée reproductions are the perfect medium for established and emerging artists, allowing you much better control of your business. You can order just one reproduction to mat and frame as a display piece. Then order more as needed. This also allows you to test market a new idea or image. Each piece is individually produced allowing you to order one reproduction at a time if desired, so you are not obligated to finish an edition. With the proper surface treatment, you can even paint on top of the image. We have multiple wide format printing systems so we can accommodate large orders with the same flexibility as a single sheet order. 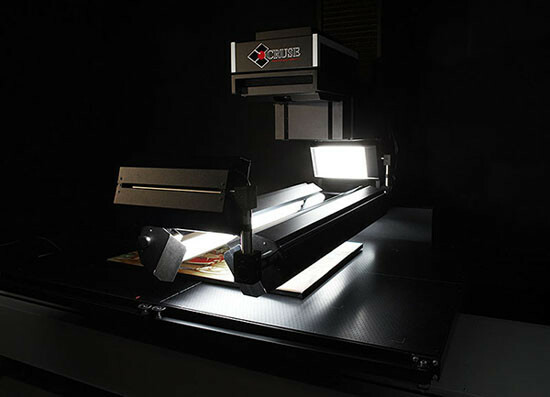 The Cruse scanner system is a large format high resolution overhead lens digital copy-stand/scanner. It will scan just about anything that you can set on the synchron table. The Cruse produces professional level scans in 48 bit color. The high bit rate and our custom profiles allow us to produce outstanding neutral grays and excellent color renditions even into the very dark color tones. The final image is saved in standard 16 bit RGB. Featuring a fixed light source and scan head, coupled with a moving vacuum table, our Synchron Table scanner features unmatched edge-to-edge sharpness. 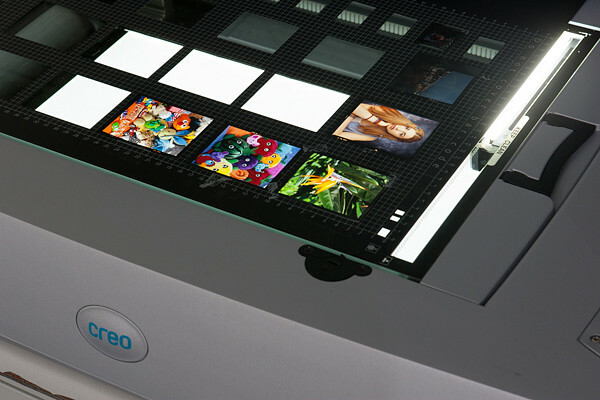 With maximum flexibility of lighting, the Cruse Synchron Table scanner is ideal for fine art imaging. Our High Quality Flatbed Scans are a cost effective alternative for those wanting to reproduce smaller works of art. 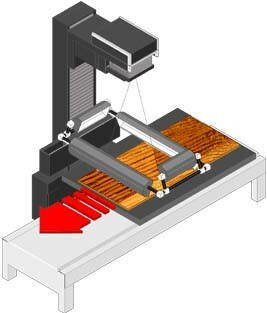 We give the same care and attention to images created with the flatbed as we do to Cruse scans. Each image is cleaned up (if needed, and only per your instructions) and painstakingly adjusted to produce a high quality replica of the original. Once your artwork as been scanned to a 16-bit file, we will edit it. The first thing we will do is screen color matching, we will look at the original artwork and decide if the colors look the same. If we see any color differences we will adjust the color in Photoshop. Next we will compare fine details in the original to the digital file to ensure we have accurately captured the original. Line clarity is important, and we are looking for crispness of edges and line fidelity. We’ve calibrated our system to be ideal for accurately reproducing paints & pigments. However, some colors fall outside of the printable color spectrum. During the proofing process we create multiple test prints and fine tune the color to acheive the best results, we work carefully to achieve the look that is as close to the original as possible with current technology. Different media (oil, acrylic, pastels, giclee inks) reflect light differently, in the testing process we try to minimize these differences as much as possible. Once a piece of art has been scanned, we view it in high-resolution on the monitor. It’s like putting the artwork under a microscope. We can see dust, hairs, scratches, and other minute imperfections that you may never knew existed. We will also find small errors and imperfections in brush strokes and line work that are not apparent to the naked eye. At this point we do any editing that was specifically requested by the artist, such as signature removal or other editing. Signature removal allows the artist to hand sign prints, adding some personalization to each print. Also, as the image is scaled to make different sized prints, the signature scales along with it. We suggest that our artists not sign the original until after we've scanned it. In some cases artists and photographers will also ask us to perform major digital edits on their work, such as color adjustment, fixing errors in a painting, removing lines from an underpainting, repairing cracks, tears or missing sections. The artist may have also requested gallery edges on a painting, in which case we either create a solid edge around the artwork for canvas stretching, or clone the painting out two inches so it can be wrapped around the canvas. Next we will load the selected paper or canvas and print a section of the painting so that we may proof the artwork. Here we want to make sure that the final output will look good on the chosen media, that color matching was done well, and that the final output will be up to our standards and the artist’s standards. After the artist has agreed to the proof and signed off on it, we’re ready to print. If the artist has waived the proof portion of the job, then we will judge the proof in-house, and we will then move on to the final printing. so does the signature. The best thing to do is to not sign the piece until after we've scanned it, but we can digitally remove the signature if you wish. The prices below include scanning, color correction, proofing, minor clean up and test printing.